Finally, today we saw some sun, so after weeks of waiting indoors whilst it poured down, I could get outside and shoot some photos! Granted, it poured down later this afternoon but that’s beside the point. I got to wear my sunglasses and open toe shoes for a good while so that’s all that matters, am I right? 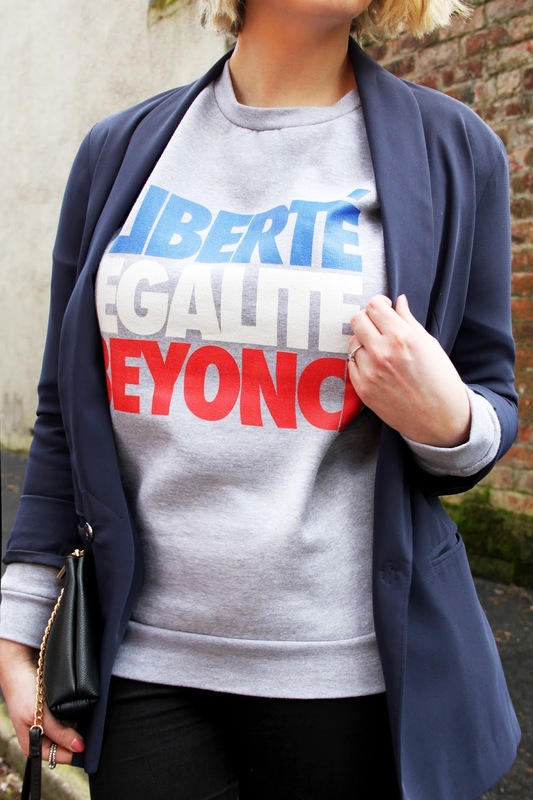 So today was the day to debut the best sweatshirt I ever owned, because Beyonce, duh. I spotted this a while back and was treated to it for Valentine’s Day from Dan, and let’s just say that any day off I’ve had where I’ve chilled at home this has been my top of choice! I decided to dress it up a little today though and wear it in a way other than with ripped baggy jeans and slipper socks. 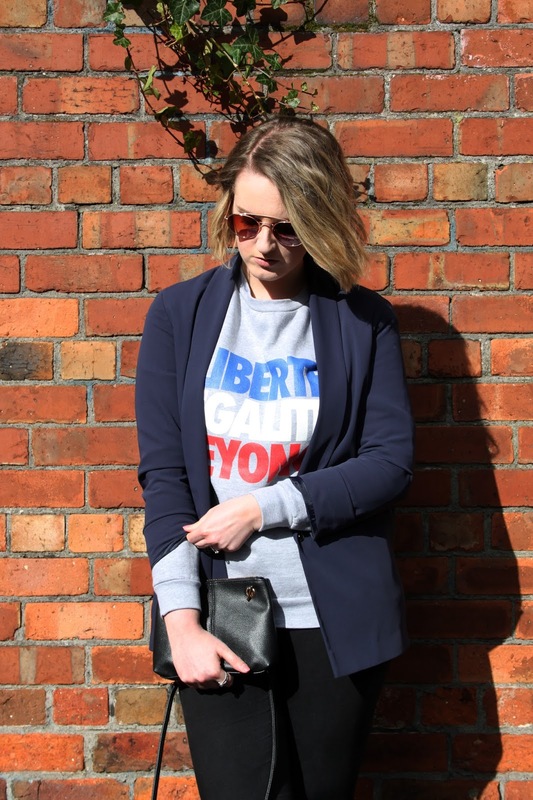 I teamed the sweatshirt with one of my favourite blazers which I picked up about a year ago in the Topshop sale for a fiver (bargain of the century right there). I love it’s loose relaxed fit as it works perfectly over the sweatshirt and adds some structure to what would usual be a pretty casual look. 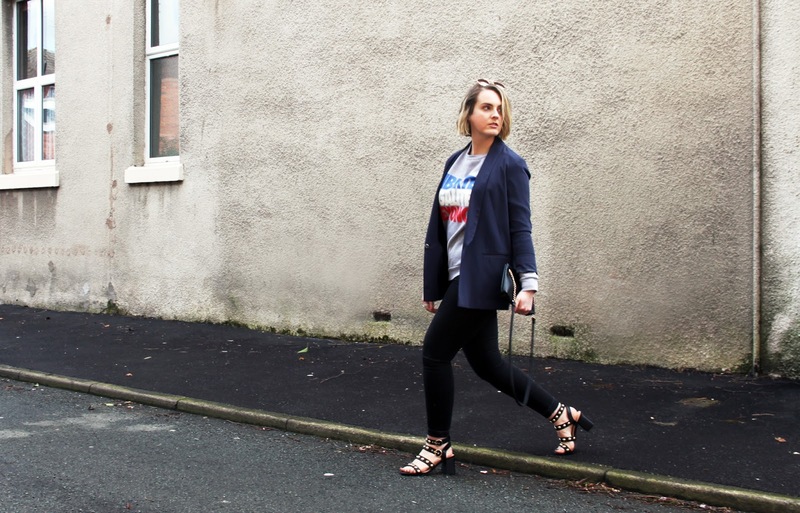 To balance out the relaxed fit of the top half of the outfit, I chose skinny jeans and a pair of heeled sandals which are my new favourite shoes for Spring! These studded beauties are from River Island and I picked them up from ASOS just in time for our holidays in a few weeks! 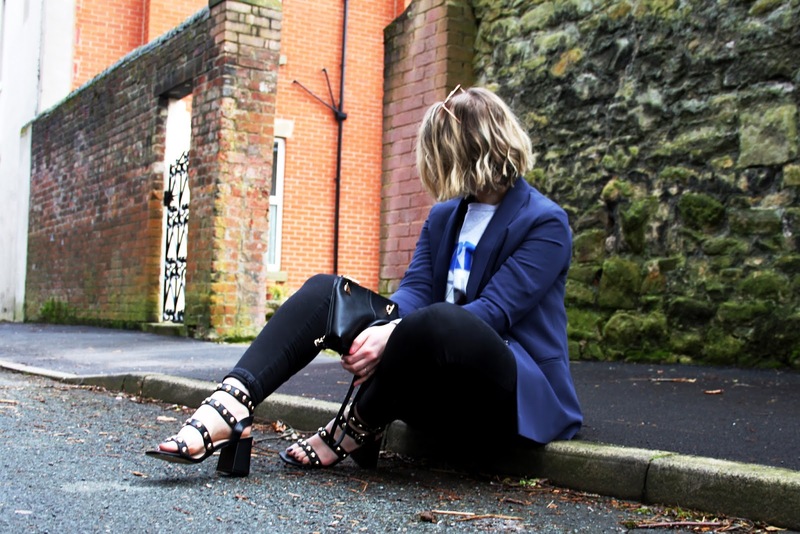 The heel is just the right height for day time and great for workwear over the Spring and Summer months, plus the stud detailing makes them stand out from other sandals I own. 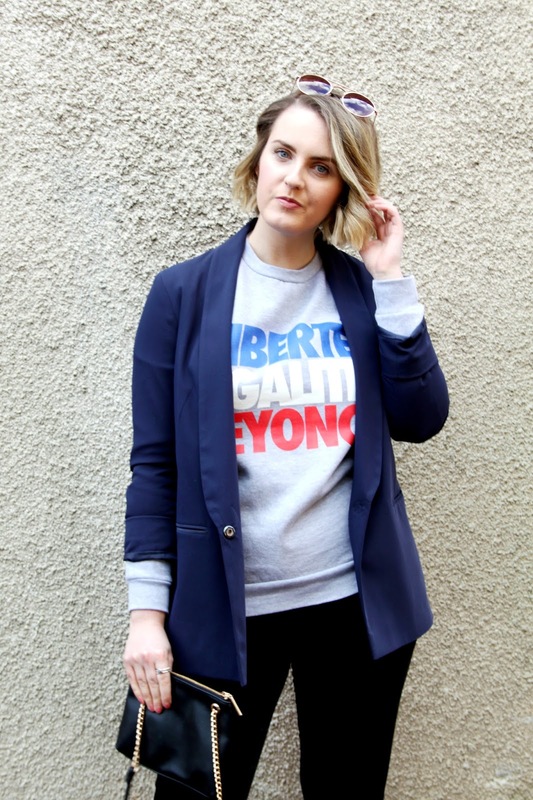 Also being debuted on the blog today is my new haircut! For those of you who follow me on Instagram or Twitter, you’ve probably already seen that I’ve been for the chop, but if not, then here it is! I decided to go for something a lot shorter than my usual ‘do, and I’m obsessed with it! 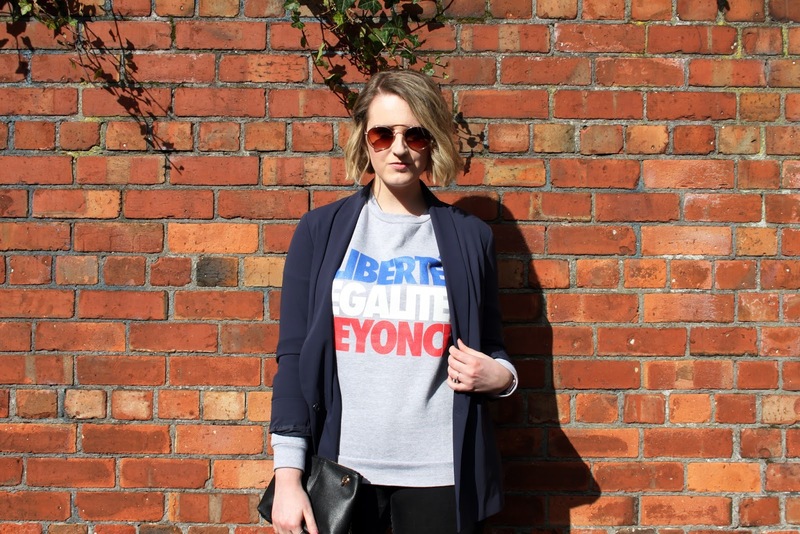 I love styling it in beachy waves, which is so easy and much quicker to do now there’s less of it! The choppier length makes it feel so much thicker and it’s going to be so much more manageable in the warmer weather. I’ve been loving wearing it half up and half down with a little top knot, but if anyone has any other styling ideas for short her then holla! We’ve got a busy few days ahead of us now with an exciting furtniture delivery which I’ll explain more about tomorrow (sound the homeware wish list klaxon! ), plus we’re seeing The Weeknd live in Manchester! What are you all up to this weekend? 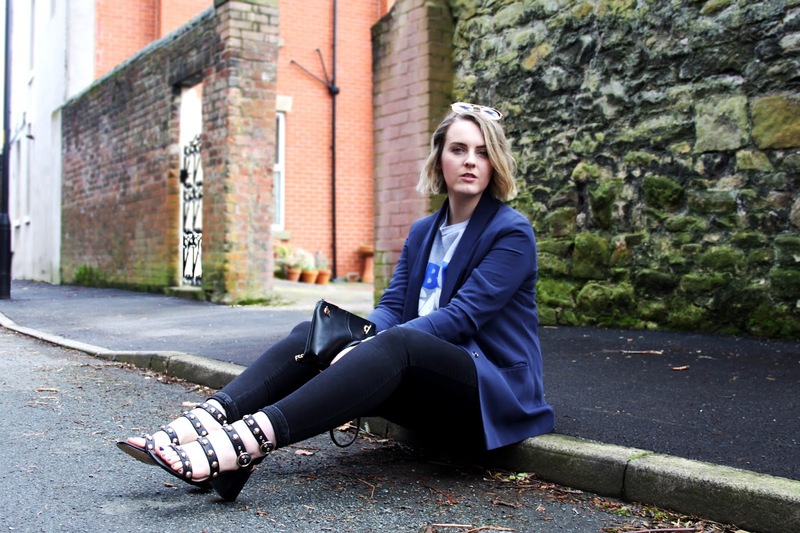 "A SPA DATE WITH BOOHOO x VILLAGE HOTELS"